When I was on the plane, on the way to Iceland, I watched a documentary film on Reykjavik. In the film, the tour guide mentioned a little cafe nestled in the small town near the cathedral called Cafe Locki. 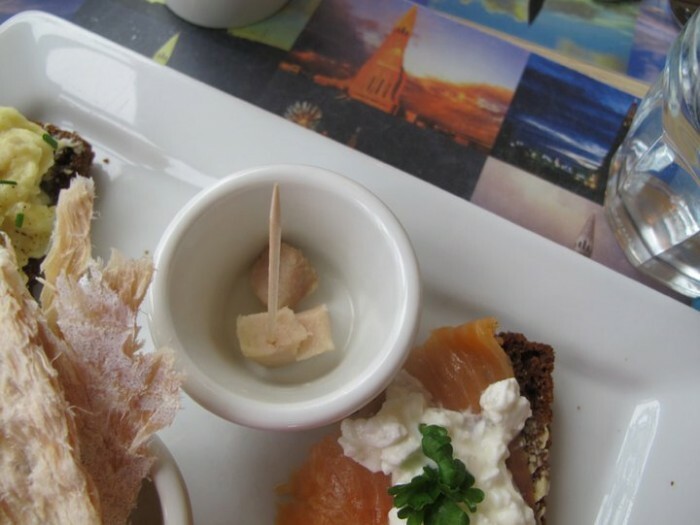 This is the ideal place to get some real taste of Icelandic food including shark! 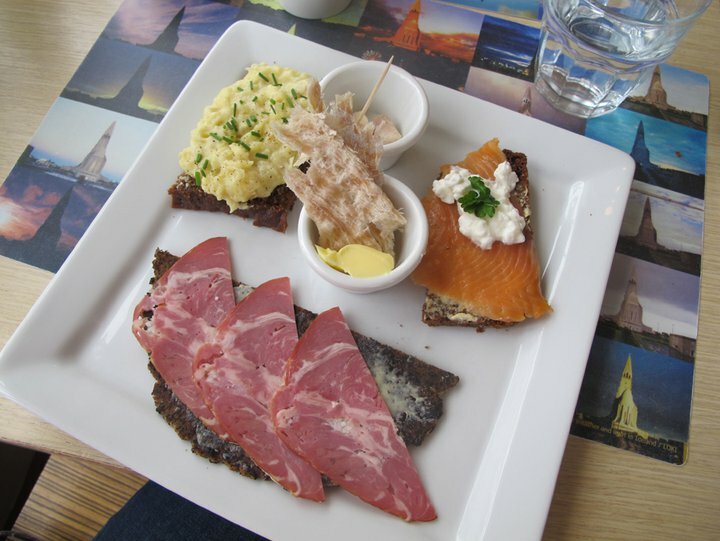 I ordered the most complex platter of Icelandic food so that I could have a taste of every bits. My plate consisted of rye bread with fish and eggs, flat bread with smoked lamb, dried fish, and shark. When I tasted the shark, my brain literally felt like it was going to explode! It is a very BITTER fish! I’ve been told by Icelandic that the only reason people eat shark is the fact that it was the last source of food in the old days. At least I tried it and know what it tastes like. Otherwise, all the other pieces of food I tried were absolutely delicious, including the dried fish and smoked lamb!